Sightsee all top spots of Florence by run and have a wonderful view of the city from its surrounding hills in a 1-hour running tour. Top Florence will run by all the main landmarks of the city to let you catch the essentials of Florence. 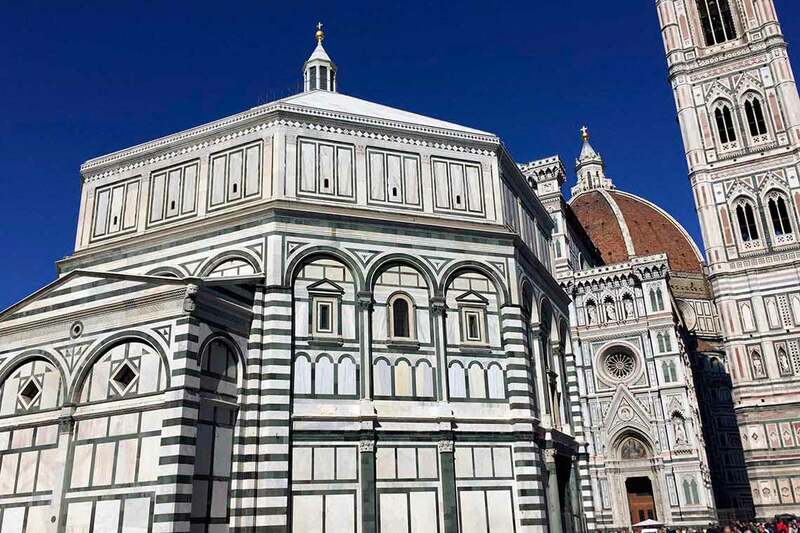 Get the highlights of Florence running by its icons like Basilica di Santa Maria del Fiore with its Giotto’s bell tower, Uffizi Gallery and Piazza delle Signoria; run through the medieval alleys of the city centre, cross the river Arno to see the beautiful Ponte Vecchio and reach a top spot overlooking the city. Listen to your guide telling you anecdotes about the area visited and providing you with useful information on the transition places, Florentines everyday life and to dos in Florence. In case you have some specific preferences about places to visit, tell your guide about them and the tour will be arranged as possible to satisfy your requests. DEPARTURE/RETURN LOCATION *Hotel/Apartment pick-up. if your accommodation is not located in central Florence another convenient meeting point will be communicated.